How can I Treat Scoliosis Pain? Scoliosis, the abnormal curvature of the spine, has several possible causes. Back braces may be worn to treat scoliosis. Physical therapy may help treat adult scoliosis. Scoliosis is a condition in which there is an abnormal curvature of the spine. There are several types of scoliosis, and each one can be treated slightly differently. Most cases of scoliosis involve mild to moderate curvature, and scoliosis pain rarely is associated with these conditions. In cases where there is scoliosis pain, different approaches can be taken to help reduce it in the long term. The most common type of scoliosis is idiopathic scoliosis. The term "idiopathic" means that it has no known cause. This type of scoliosis is divided into categories based on the age in which it is diagnosed. Infantile scoliosis is diagnosed during infancy; juvenile scoliosis is diagnosed from ages 3 to 10; and adolescent scoliosis is diagnosed between age 10 and adulthood. 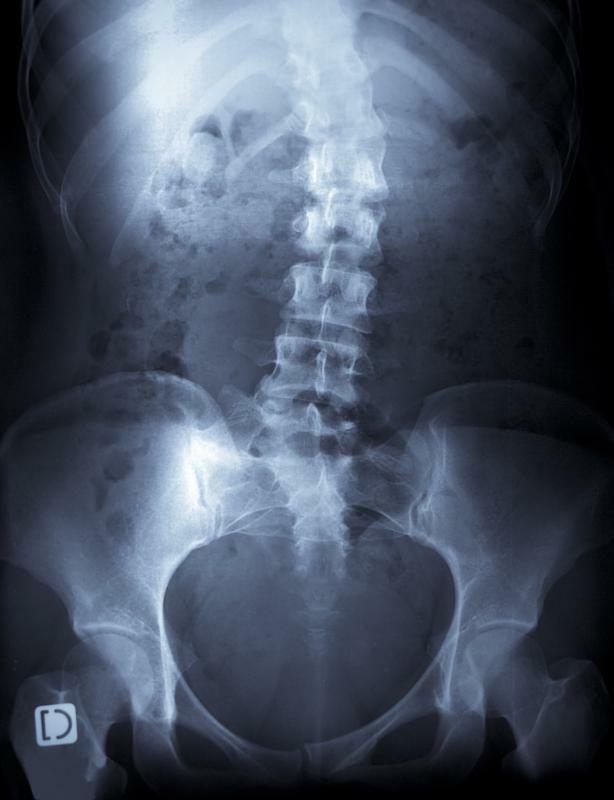 Eighty percent of scoliosis cases are considered to be idiopathic scoliosis. Congenital scoliosis occurs because of genetic factors that affect the proper formation of the spine during fetal development. This form of scoliosis is quite rare. Spinal curvatures in these cases become apparent during infancy and can be moderate to severe. Another form of the disorder, neurological scoliosis, occurs because of muscle weakness in the back that results in a crooked spine or because of other neurological problems. Although scoliosis pain is rare with all forms of the disorder, various treatments can be pursued to prevent spinal curvature from increasing or to straighten the line of the back somewhat. 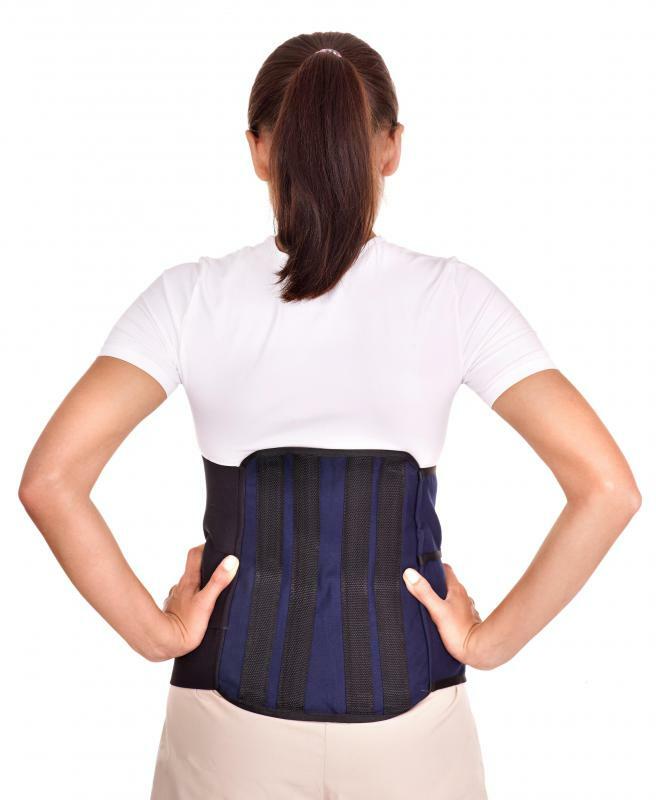 Often, the curvature is treated with a back brace, or scoliosis brace, which encourages the spine to grow along a more normal line. Scoliosis physical therapy or chiropractic treatment also can help keep the spine in a more normal alignment. In severe cases when normal movement is impeded, scoliosis surgery might be necessary. When scoliosis pain does occur, it can be triggered by muscle spasms or fatigue as the muscles in the back overwork themselves in an attempt to correct the spinal curves. In these cases, scoliosis pain can be treated with over-the-counter medication such as aspirin or ibuprofen, both of which will reduce inflammation and discomfort. Other causes of scoliosis pain can be traced to degeneration of the discs in the spine, which might result in more drastic measures being recommended. Scoliosis pain also can occur because of arthritis or other conditions in the spine that are exacerbated by the spinal curvature. Degenerative scoliosis is a condition in which the degeneration of the spine itself leads to spinal curvature. This type of scoliosis also can lead to scoliosis pain that requires surgery. Prescription medication specifically to treat arthritis could be an option. What Should I do After Scoliosis Surgery? What are Different Types of Spinal Curvatures? What are the Pros and Cons of a Scoliosis Operation? What are Common Symptoms of Scoliosis? What are the Best Sources of Scoliosis Support?